After you finish all the other stories (aside from the Triangle Date scenarios), you unlock the Special After Stories. These take place following the after stories in the first FD. Since this will be my last post for the FD, I will include my Concluding Thoughts at the end. 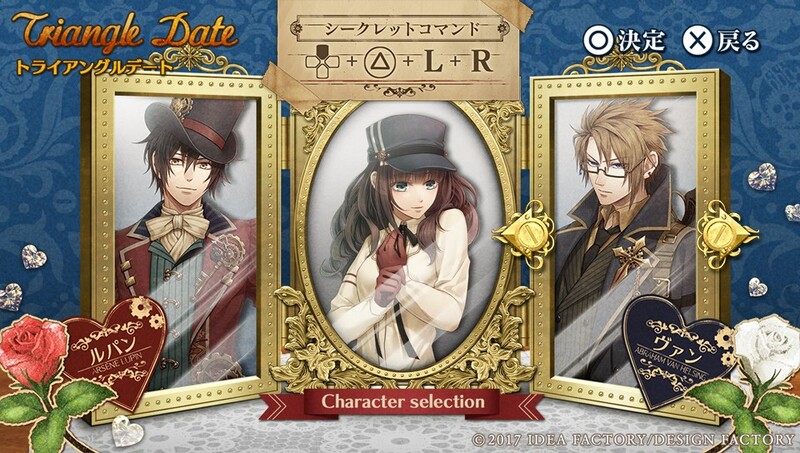 One of the segments of Code:Realize ~Hakugin no Kiseki~ is Triangle Date, in which you can choose any 2 guys to accompany Cardia. There are also 3 secret scenarios. 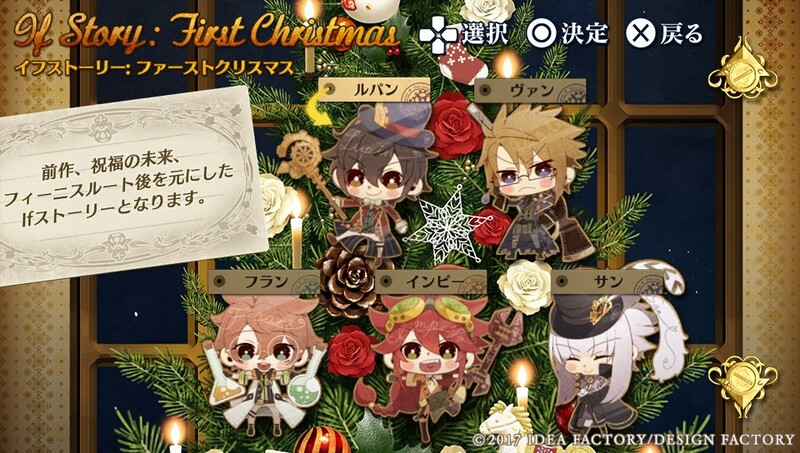 Another segment is If Story -First Christmas-, which takes places after Finis’ route in the first FD. 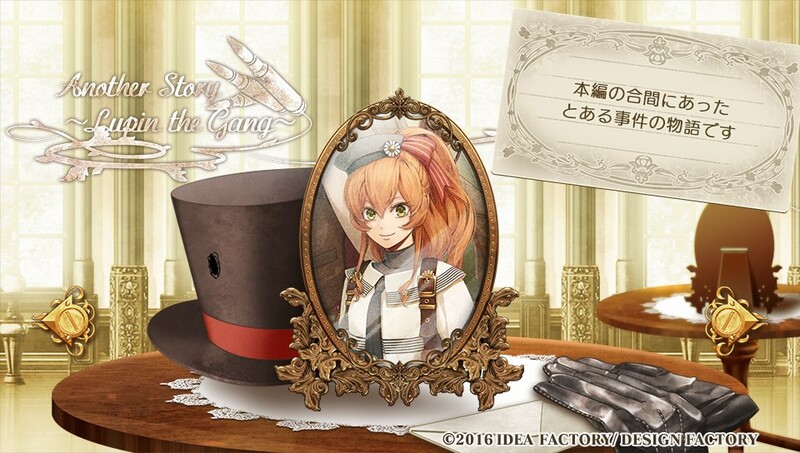 It’s Cardia’s first Christmas – who will spend it with her? 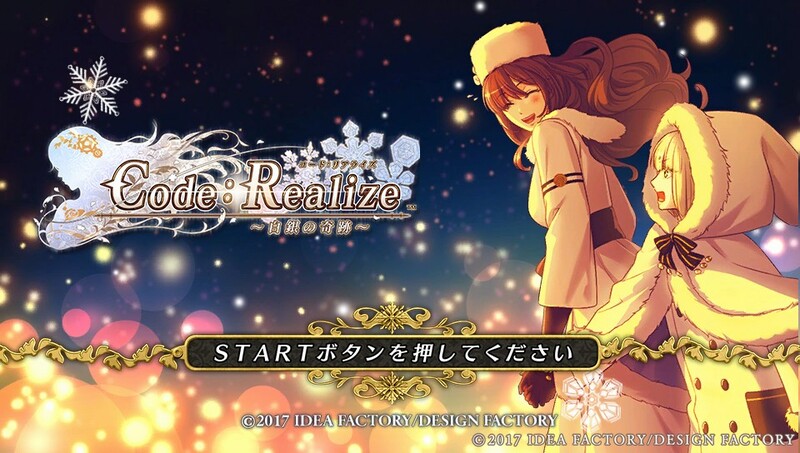 Started on Code:Realize ~Hakugin no Kiseki~ and just like the first FD, this one is divided into several segments. 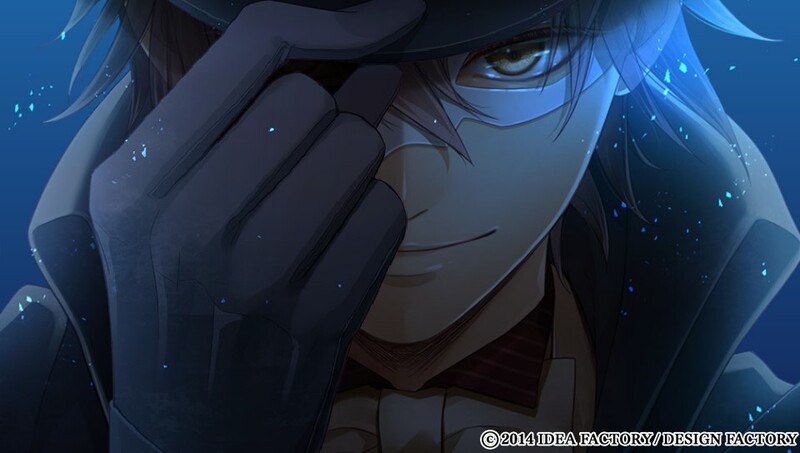 One of which is Code:Realize ~Hakugin no Kiseki~ is Another Story: Cantarella. It is an alternate story which takes place in the original story’s timeline. However, it references to some stuff which appear in Lupin’s route in the first game. 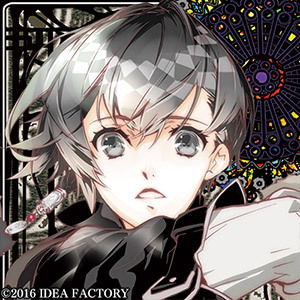 Here is my non-spoiler review of Psychedelica of the AA-nisus. 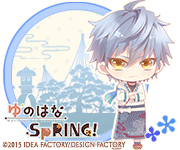 Snowdrop and Via-Kaleido stories for children. 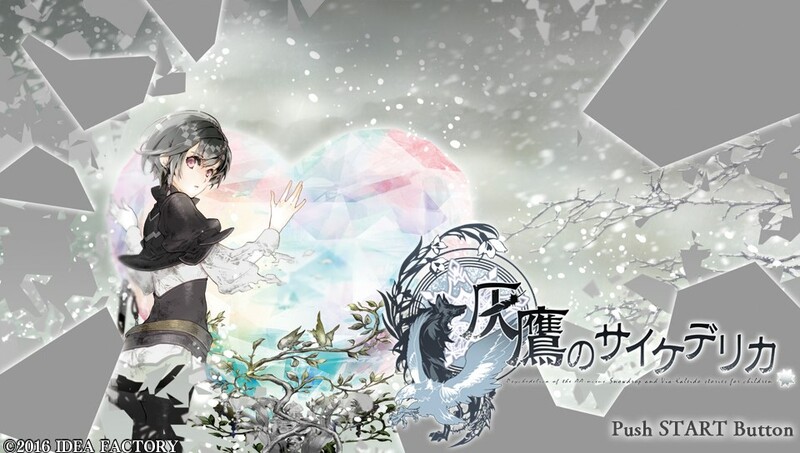 Also known simply as Haitaka no Psychedelica. The only graphics I’ll show are the title screens, random screenshots of the interface, and two non-spoiler CGs. 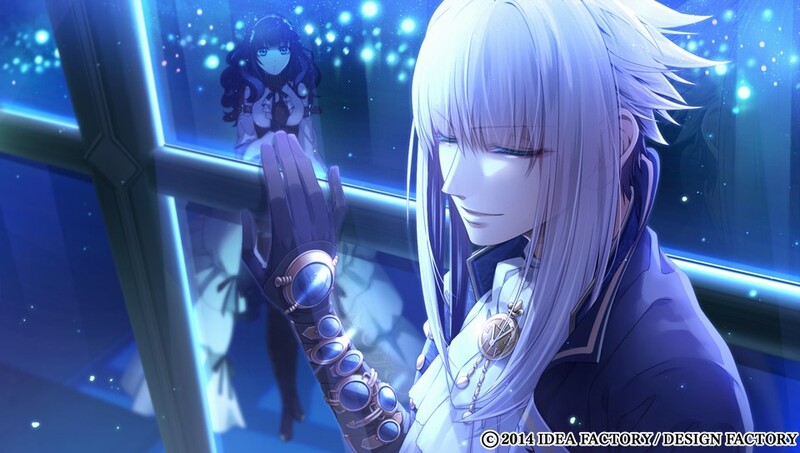 Next is the after story for Saint-Germain (CV: Hirakawa Daisuke). Enjoy! 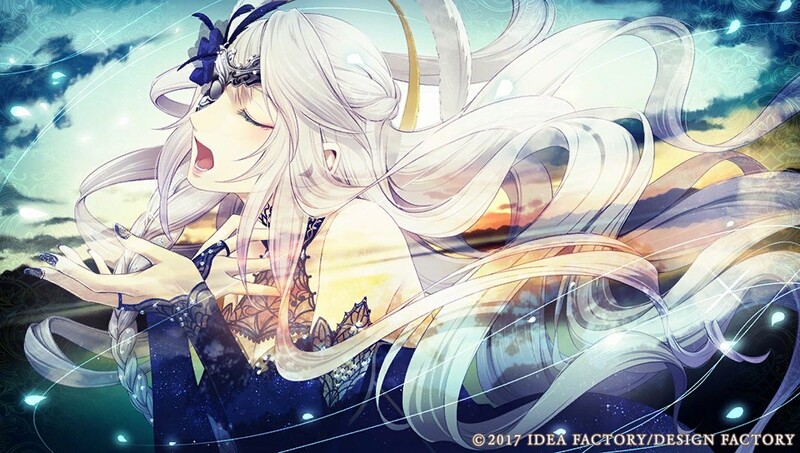 Finally starting on the fandisk, Code:Realize ~Shukufuku no Mirai~! I decided to start with Another Story ~Lupin the Gang~ first since it’s an alternate story which takes place in the original story’s timeline. So let’s see the gang in action once more! 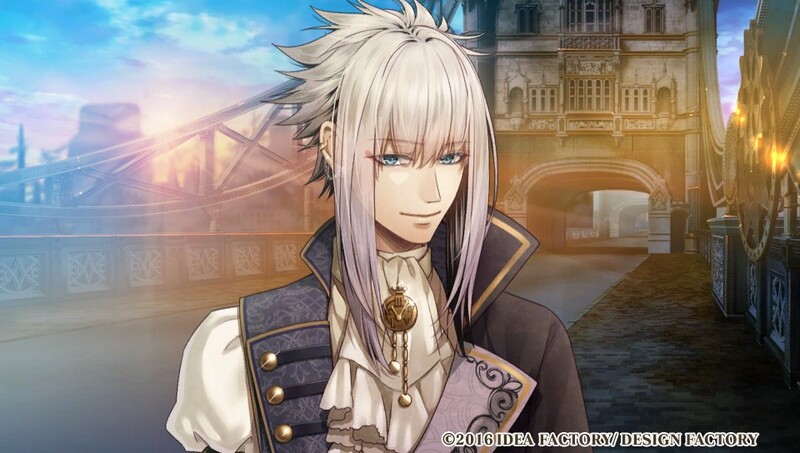 First route is Cinderella (CV: Hirakawa Daisuke). He appears to be an arrogant and extravagant man, who plays all day and leaves the business to his brothers. But he is actually fragile as glass on the inside. This follows from the Prologue. Next up is Saint-Germain (CV: Hirakawa Daisuke). If it wasn’t obvious from first sight, Saint is hiding a lot from the rest! This follows from the Common Route.